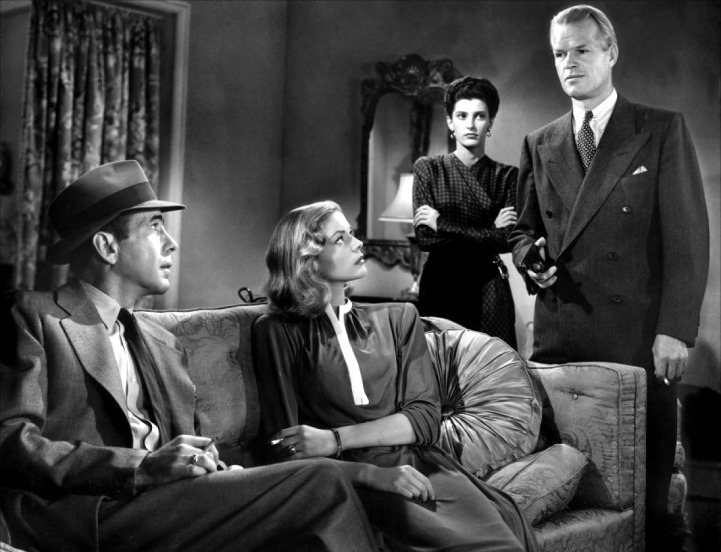 Howard Hawks’ seminal classic The Big Sleep is difficult to categorize. The first instinct for many film writers and scholars has been to categorize it immediately as so-called “film noir,” lumping the movie together with other classic films like John Houston’s The Maltese Falcon and Billy Wilder’s Double Indemnity. However, it is difficult to be so cut-and-dry with The Big Sleep; indeed, it is not easy to say any film is without a doubt a film noir due to the nuance and variability with which that particular genre label has been used. Going back to the early definitions of what we now term films noir, The New Yorker and The LA Times described Double Indemnity as a “murder melodrama” and an “intellectual exercise in crime,” respectively. Similarly, Newsweek referred to Murder, My Sweet as a “brass-knuckled thriller” while The Hollywood Reporter commented generally on the trend of films following the “hard-boiled, kick-em-in-the-teeth murder cycle” (James Naremore, 1995). By these simple parameters, The Big Sleep could certainly be classified as a film noir: it focuses on a world of deep, complex crime, it sports a fairly archetypal private detective for a protagonist, and the plot thrives on tension. Unfortunately, the broadness of these criteria encapsulates almost any film about murder – even more recent films like Gregory Hoblit’s Primal Fear. So what is it that defines a film noir, then? Must it follow a detective story syntax, where clues filter in periodically and restricted storytelling dominates the film’s narrative? Or perhaps it has to be based on or structured like a classic “hard-boiled” novel? What about visual iconography – the suit, the hat, the Private Investigator office, the cigarettes, the guns, and the femme fatale – or the very purposeful use of shadow and light? Answering these questions is essential to determining if The Big Sleep is, in fact, a film noir. Hawks’ film does exhibit many of these qualities. Protagonist Philip Marlowe (Humphrey Bogart) is a witty, grizzled, good-looking man who operates on the border of legal and illegal – he works amicably with the police, but has no compunction about breaking and entering at Geiger’s house or shooting Canino. He wears a fedora and a suit, as well as the occasional trench coat, and his hair is never once out of place. He is witty, terse, persistent, and cultured just enough to blend in and gather information. And certainly the film follows much of the syntactic framework of a detective story, keeping the camera on Marlowe for the duration of the film as the audience tries to elucidate the truth from various reveals. But with the notable absence of overt narration, no flashback exposition, and almost no jazzy feel, the film lacks some of the more common qualities of other films noir. Marlowe is also constantly at odds with different female characters – from Vivian Rutledge (Lauren Bacall) to her seemingly sweet and innocent sister Carmen Sternwood (Martha Vickers), all of the women in The Big Sleep seem to fall squarely in the category of “femme fatale” – most of them are some combination of classic beauty, intelligence, fearlessness, unhandiness, and most seem to have had a strong education. All the while, their motives are never clear; it is never apparent until the climax of the film whether any of these women are out to hurt of help Philip Marlowe. One of the most striking aspects of film noir is the use of high-contrast shadow to accentuate certain aspects of or emotions in the film. Strangely, The Big Sleep almost completely sidesteps this requirement. While there are scenes which use shadow to imply mystery and build some tension (specifically the parking lot scene outside of the Mars gambling club, the office where Marlowe goes to meet Harry Jones, and the second and third scenes in Geiger’s old house), much of the film uses high-key lighting that doesn’t cast any well-defined shadows. Whether this aesthetic is critical to noir classification is unclear, but it is certainly common to many of the first films to earn the label. 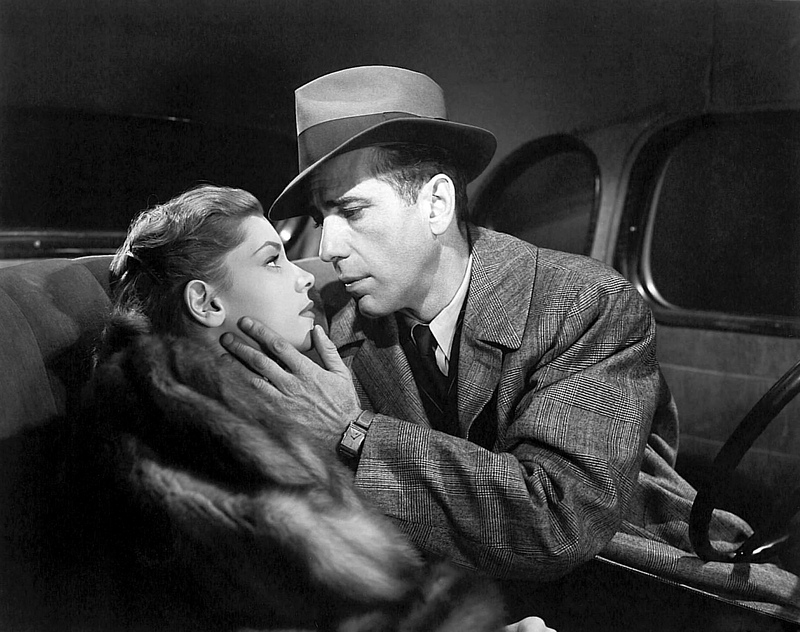 Ultimately, it is impossible to say for certain if The Big Sleep is truly a film noir. Is there a threshold at which a movie is suddenly categorizable in a given genre? If so, does The Big Sleep meet the quota? Going by Linda Williams’ “body genre” definition, the film is almost certainly a thriller, complete with tension-building music and high-stakes situations. And according to Rick Altman, one might makes the argument that the movie adheres to the syntax (or structure) of a detective story very closely. Genre is used most often to simply help bring some rudimentary understanding to a dialogue about a particular film. No movie fits any given genre perfectly, but knowing what general label may be applied to the film can help scholars and critics approach the movie with more facility. 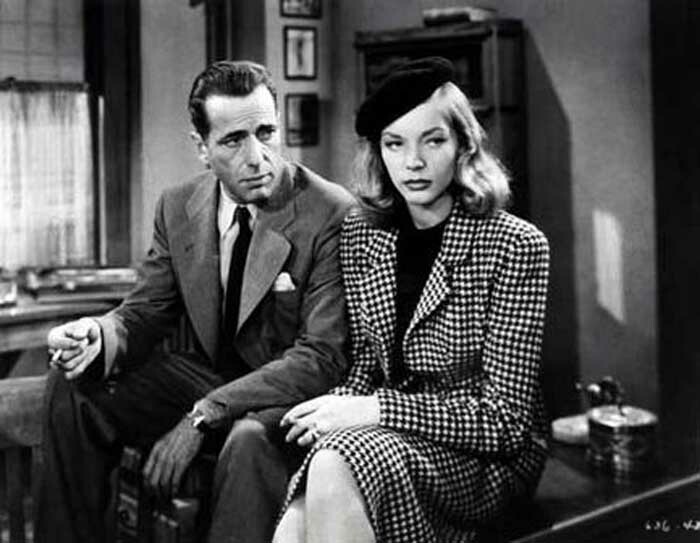 So if it helps to call The Big Sleep a film noir, then it is a film noir – debating semantics about what a film noir actually is is sort of beside the point, because the designation serves merely to associate this film with several past films as a frame of reference.